I’m sure you heard this statement or a variation of it more than once. But how much of it is truth and how much of it is pure urban myth? Is there any real evidence behind this belief? Does running cause arthritis in knees and hips? Over the years I have met many athletes and just ordinary people who are deeply convinced that even though running is an effective way of getting fit it also takes a toll on your knee and hip joints and sometimes even your spine. Some evidence does exist that professional soccer players have a higher risk of developing knee osteoarthritis after the end of their careers. Or perhaps other factors are at play here. 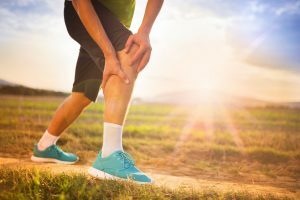 And most importantly if you are not a competitive, professional athlete and just do some running to keep fit and health – are you placing yourself at risk of knee or hip arthritis? Or not? I have done some extensive research and found a number of clinical studies that give a reasonably one-sided answer. Watch the video below to find out exactly what the most up-to-date research says on the subject. After analysing the data from these studies I made this video by putting my findings into simple language. So you don’t have to be a scientist to understand it. So does running cause more wear and tear in our legs? We found a study done in 2013. What they actually did, they took 90,000 people. So it was quite a large study involving a lot of people which actually gives it a lot of credibility. 75,000 of these people were runners and 15,000 were people who just walk regularly. They followed up these people over a period of 5 to 7 years to see if those people who run actually have a higher risk of developing osteoarthritis or if they were at risk of getting hip replacement surgery. So, these are the results… What the researchers actually found was that with those people who did some running… their risk of getting osteoarthritis of the hip joint was actually 18% less than people who didn’t run at all or ran very little. So it seems like if you are a runner the risk of getting arthritis is actually less which is in contrary to a very common belief that I circulates around. So, another thing they found was that the risk of having to do a hip replacement surgery if you are a runner was 35% less.